Flickerfest returns to Grafton for the 3rd year on Friday 1st April, screening at the Saraton Theatre with a terrific programme – The Best of Australian Shorts – chock full of highlights from the Australian competition at this year’s festival. The programme includes Nan and Whole lot of Trouble, produced by local filmmaker Lois Randall and directed by rising talent Dena Curtis. The film tackles cultural taboos with humour and warmth and is a delight to watch. Also screening is the award-winning Slingshot, which took out the Virgin Australia Award for Best Short Film at Flickerfest this year, as well as Oscar® winner Adam Elliot’s latest clayography, Ernie Biscuit which tells the tale of a lonely deaf Parisian taxidermist whose life turns up-side-down with the arrival of a dead pigeon on his doorstep! 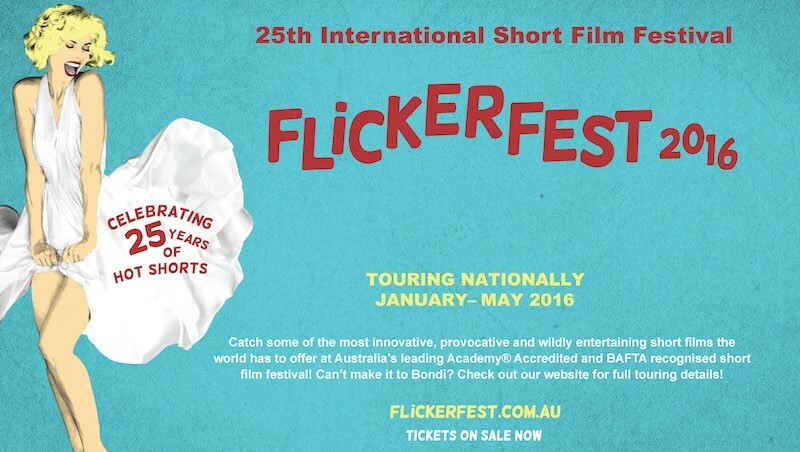 Flickerfest is part of the Clarence Valley Council’s Plunge Festival this year and is presenting the only short film programme in the festival, so don’t miss it! Flickerfest is on at 7pm, Friday 1st April, at the Saraton Theatre, 99 Prince St, Grafton. Tickets available online at www.saraton.com and are $16 / $14 / $11.50 seniors.